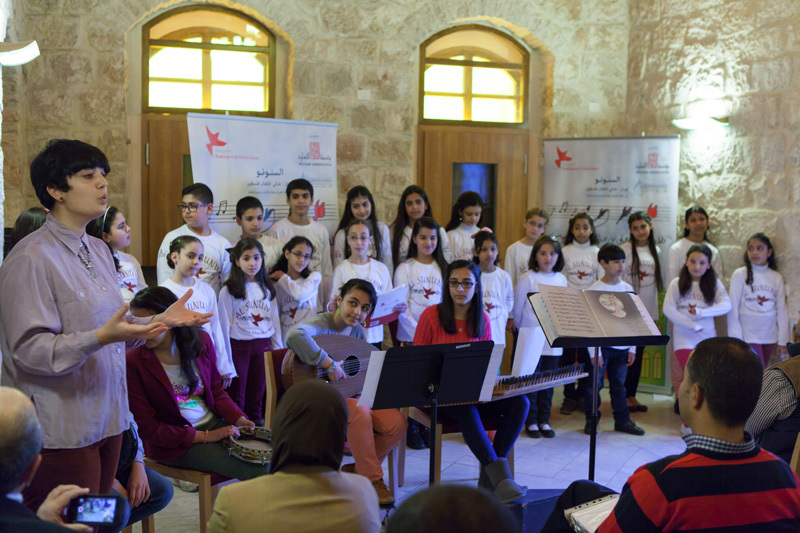 The project was implemented in East Jerusalem from 2011 until 2015 benefiting a total of 49 children aged 9 to 14 years old. 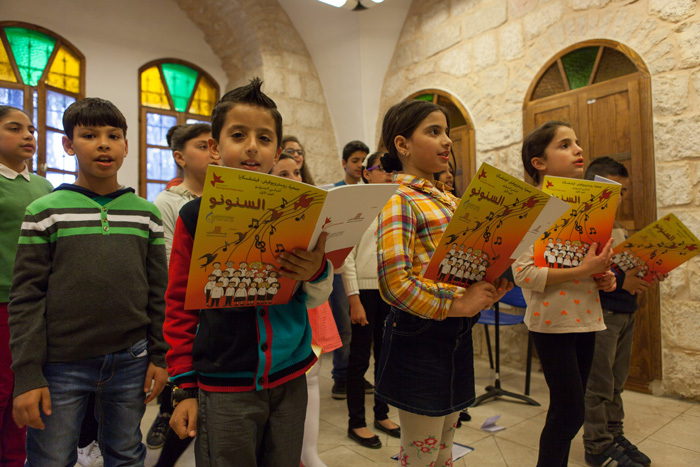 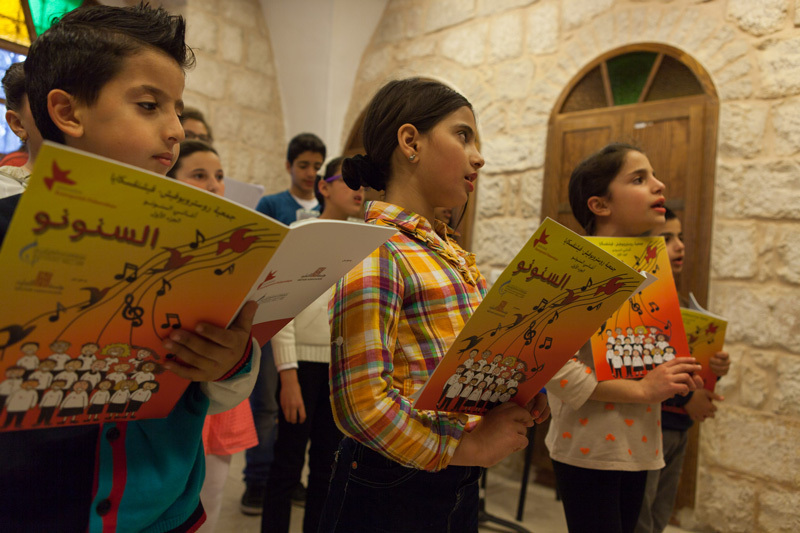 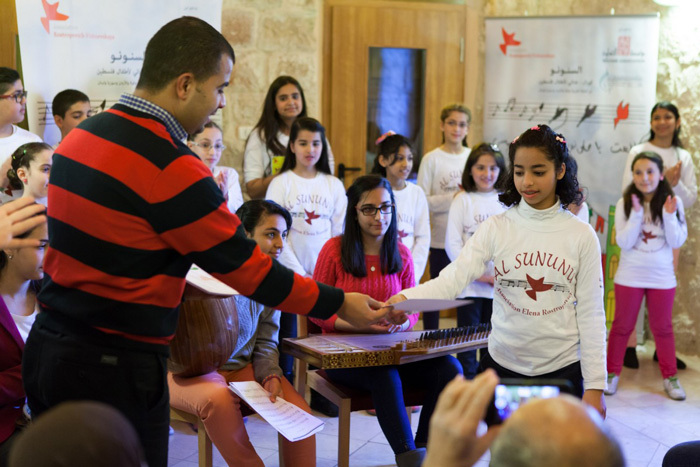 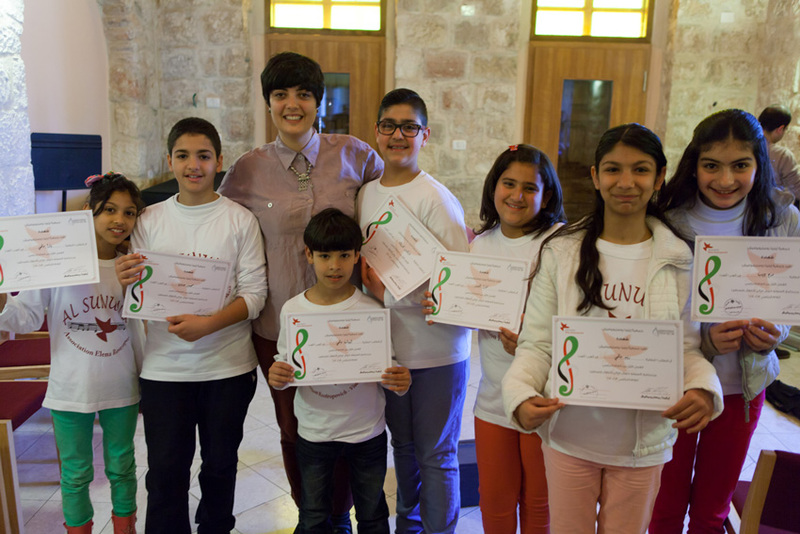 In 2015, there is 1 choir bringing together children from UNRWA, public and private schools located in East Jerusalem area. 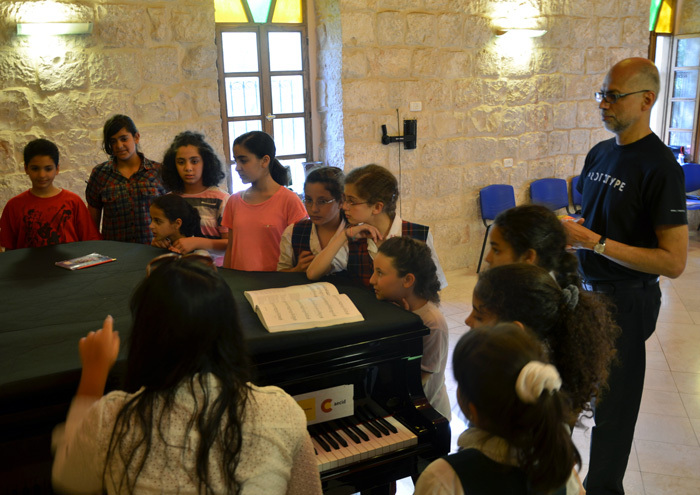 Lessons took place at the Edward Saïd National Conservatory of Music. 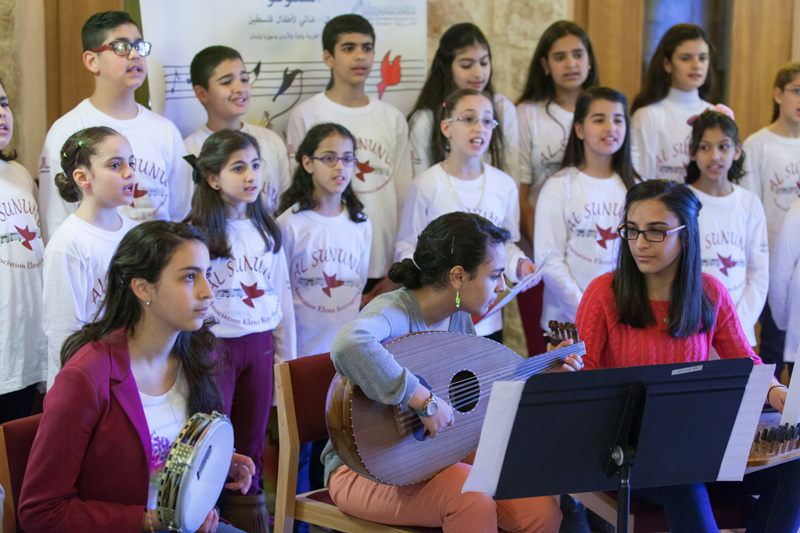 Today, this choir is sustained by the Edward Saïd National Conservatory of Music. 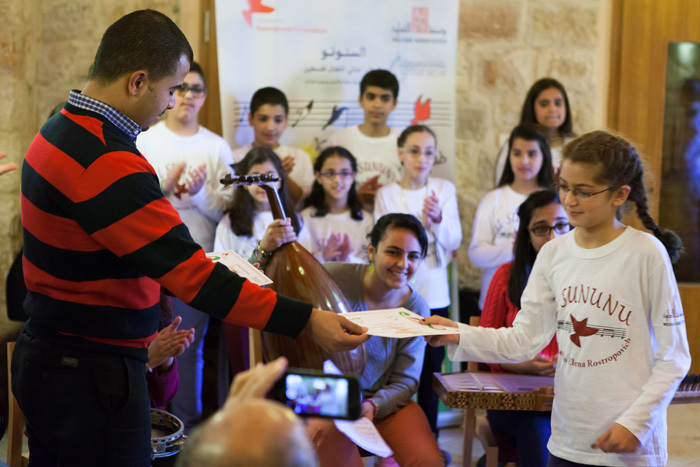 – November: Dar al Tifil School Theatre, one in the presence of AER’s and RVF’s members and one for the International Child Day. 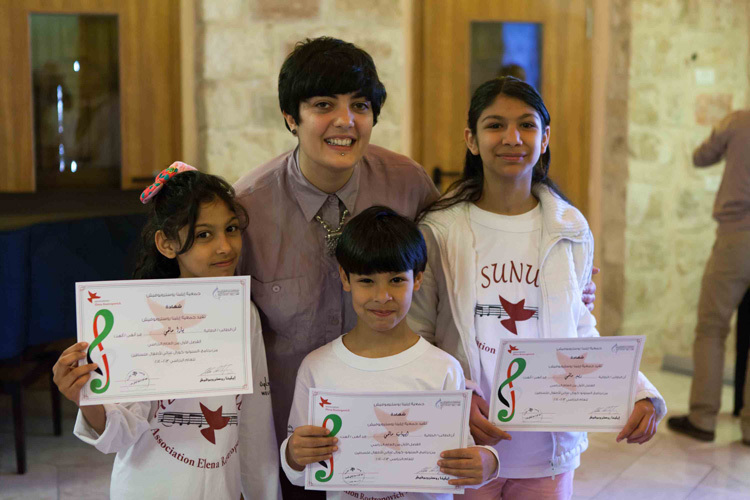 – March: music workshop at the ESNCM with members of Guildhall School of Music and Drama from London. 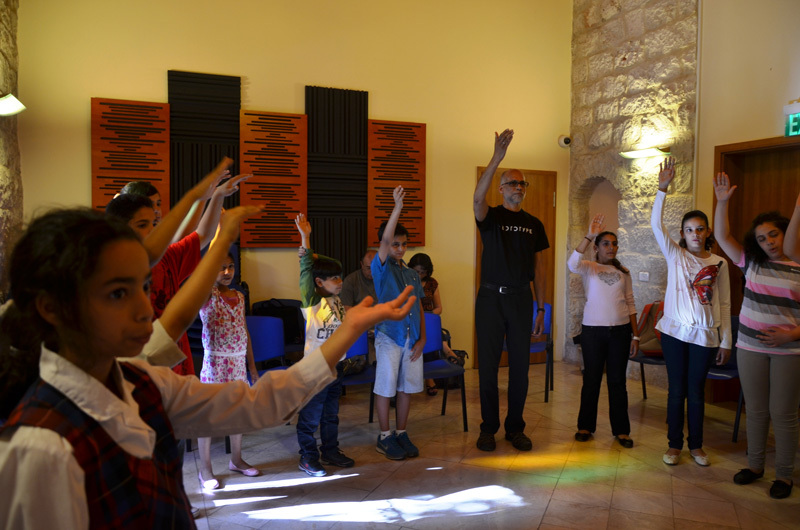 – May: music workshop at the ESNCM with André De Quardos, choirmaster from Boston University.